I would like to receive occasional information and updates from St Wilfrid’s Hospice Midsummer Night's Dream Gala and jumblebee. Please join us for a magical Gala evening, full of fun and merriment, to be held on a stunning private estate overlooking the ruins of Boxgrove Priory near Chichester. 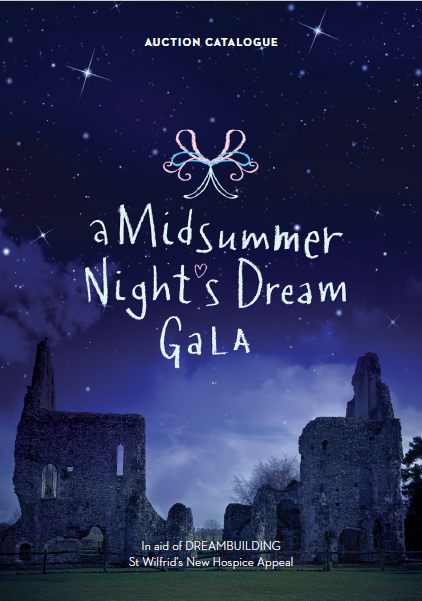 With a glamorous Midsummer Night’s Dream theme, complete with fireflies and fairies, 300 guests will be invited to join us for a spectacular night of entertainment, fine dining, dancing and surprises. As the summer sun begins to set, you and fellow guests will enjoy a champagne reception.You will then be invited to enter our enchanting Midsummer Night’s Dreamy woodland glade and sit down to an exquisite three-course dinner provided by Field & Fork, complemented by a selection of wines chosen by our sommelier to accompany the meal. Be prepared to be wowed by surprises during the evening, including performances by a *dreamy group that has performed for Prince Charles, Richard Branson and George Clooney. Our Hospice Patron Mark Hewitt, retired partner of Stride and Son, will lead a fun-filled live auction, featuring seven exclusive lots. You will also have the opportunity to bid on extraordinary silent auction prizes and win one of three enchanted raffle prizes. After dinner and the auction, you can dance the night away in our Midsummer Night’s Dreamy Grotto. This auction will be available for online bidding until 12 noon on Friday 15th June 2018, following which it will re-open on bidding tablets only at the venue on Saturday 16th June. 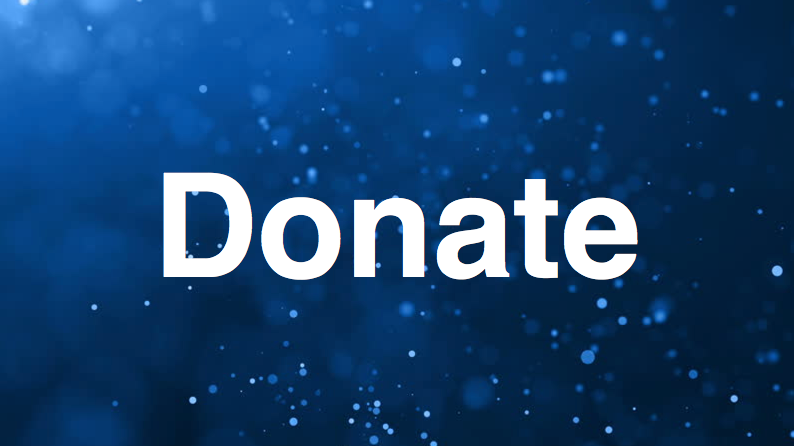 If you are not attending the Gala, please place a proxy (maximum) bid on this page before the 12 noon deadline on Friday and the system will continue to bid up your behalf until it reaches your maximum. If you are not going to be at the Gala and would like to bid on any of the LIVE AUCTION items, please email sarah.mansell@stwh.co.uk in confidence and she will pass your proxy bid to the auctioneer. 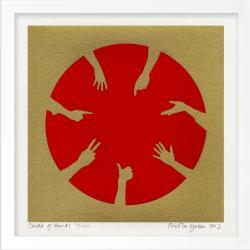 Please ensure you receive a reply to any live auction bid that you make. All bids must be received and confirmed by 12 noon on 15th June 2018. Located just 200 metres from the ski slopes, 100 metres from the centre of the resort Courchevel Moriond, near great restaurants, and just above the new €80 million aqua centre, the residence Mammoth Lodge offers a privileged environment for a ski holiday in the heart of the Three Valleys. 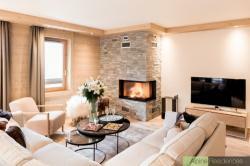 The neighbouring residence, Le C, offers a café, as well as a spa with Jacuzzi and sauna. Apartment D06, 136m2 located on the second floor, benefits from four double bedrooms with en-suite bathrooms, a spacious living room with fireplace, a large open-plan kitchen, and a dining area. The apartment offers a fully equipped modern kitchen, free Wi-Fi access, a washing machine/dryer, and enjoys a balcony with an outdoor table and stunning views of the valley. It comes with two ski lockers. The apartment is from Saturday to Saturday and not available during peak school holidays. Afternoon tour of Houses of Parliament and tea with Gillian Keegan, MP for Chichester. 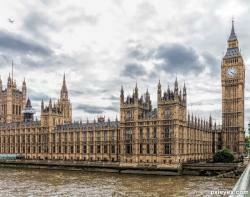 Find out how Parliament works as you travel through the Commons Chamber and the Lords Chamber. Follow in the footsteps of the Queen at the State opening and be inspired by Westminster Hall which is almost 1000 years old. Join Mrs Keegan for tea following the tour. renowned theatre company Paines Plough. Since 1974 Pains Plough have produced more than 130 new productions by world renowned playwrights and have toured those plays to hundreds of places from Manchester to Moscow to Maidenhead. Paines Plough are offering a week’s work experience designed to equip someone with practical work experience of a busy touring theatre company. The work experience will run for 1 week from 17 September 2018 to 21 September 2018 in London or tour venue. During the work experience placement, you will gain knowledge and experience in: tour logistics, audience development and day to day running of the office and productions on the road. Previous placements at Paines Plough have gone on to work for companies such as: Donmar Warehouse, National Theatre of Scotland, Lyric Hammersmith, Les Enfants Terribles and Young Vic. 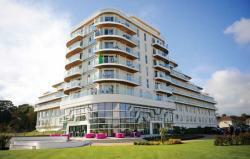 Weekend break for four at the Butlin’s Wave Hotel and dance lessons with Diversity, winners of Britain’s Got Talent. Stylish and modern, the Wave Hotel has some really neat features, including a funky café, iPod docking stations in all the rooms, a Kindle library and submarine-style gaming room. One year’s Gold Smith Membership + £100 voucher from Mr & Mrs Smith, the travel company which helps you find and book the world’s best boutique and luxury hotels. Benefits include your own dedicated travel concierge, room upgrades, Priority Pass airport lounge membership, loyalty account, half-price hotel offers, Avis President’s Club, Smith Extras and more! 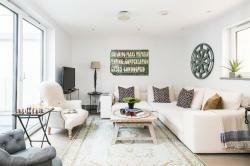 Four night stay for six in a 3 Bed/3 Bath new luxury detached London home. to stay. Huge terrace and parking nearby! private tour for up to five partners of the Cass Sculpture Foundation archive. 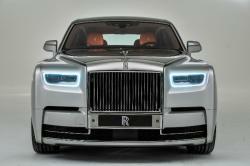 This auction prize is for an exclusive look behind the scenes of the world’s leading luxury automotive manufacturer Rolls-Royce Motor Cars at their home in the Goodwood Estate, West Sussex. This private visit for a group of five visitors will include a history of the marque and a tour of the manufacturing area where you will see the prestigious Phantom, Dawn, Ghost and Wraith models being produced. At the same time, up to five partners will have the opportunity to take a private guided tour of the Cass Sculpture Foundation Archive located in a beautiful country setting on the Goodwood Estate. CASS is a pioneering not-for-profit organisation that inspires, enables and presents the output of some of the most important figures in contemporary sculpture. Following the tours, lunch for up to 10 people will be provided. Available between 1st July 2018 and 1st July 2019. Please note no tours are permitted between 23 July – 3 August 2018 inclusively. Stay in a six-person Concierge Camping luxury safari lodge for a weekend of choice, subject to availability. Situated on a peaceful, award-winning campsite in West Ashling, you can relax in style in a Serengeti-inspired lodge complete with underfloor heating, sofa, well-appointed kitchen with range-cooker, and a lavish bathroom with rain shower. VIP Voucher for Two to Goodwood Revival on Saturday, 8 September 2018. Includes: two tickets, metal badges, forward parking, lunch and afternoon tea in the Pilot’s Club. This extraordinary event assembles the most significant racing cars along with legendary drivers from the past and stars of today with the accompanying glamour of the 1940s, ’50s and ’60s. Cannot be exchanged for another date. 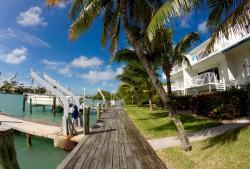 (sleeps 6) with balconies overlooking Bonefish Channel. This three bedroom, two bathroom home is located in the Coco Plum community in Marathon, Florida, the Heart of the Keys. This townhouse offers all the amenities of a great vacation perfect for relaxing as a family or group of friends. Boat rental available and only two hours from Miami International Airport. The Yacht Club amenities are simply gorgeous, offering a heated swimming pool with Tiki clubhouse and lighted tennis court. Paved bike/jogging paths are just outside the townhouse entrance. Located minutes from all the great restaurants, beaches, and night life of Marathon and only an hour from the exciting city of Key West, this exclusive yacht club is the perfect place to get away from it all. Ground floor entry to stairs leading to first floor – living room, dining area and kitchen with balcony off and circular stairs down to the water frontage and dock. Cloakroom and twin bedroom. Upstairs is the master suite with a king sized bed, en suite shower room and balcony with views down the main channel to the ocean. The second twin bedroom and bathroom are also on this level. Subject to availability agreed with the owner. far north of Finland, in Finnish Lapland, this long weekend has all the ingredients for a memorable adventure; including dog sledding, snowmobiling and snow shoeing. With favourable weather conditions you can also expect to see the Northern Lights dancing above you. 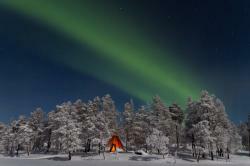 This will be even more memorable with one night in a glass roofed Aurora cabin. and champagne in a cast member’s dressing room post show. Acting legend Sir Ian McKellen takes to the West End stage in one of William Shakespeare’s greatest roles as he stars as King Lear at the Duke of York’s Theatre. ‘Ian McKellen reigns supreme in this triumphant production.’ - Daily Telegraph. King Lear performance is on the 21st September 2018 and the house in Wandsworth is available between 21-23 September 2018. Parking space at house. Dinner (and wine), bed and breakfast for two at The Richmond Arms in West Ashling. Award winning country pub at the foot of the South Downs serving locally sourced meats, seafood, game and vegetables in an innovative manner. Luxury double bedroom with king size bed, deep roll-top tub and walk-in rain shower. Served with a delicious gourmet full English breakfast. 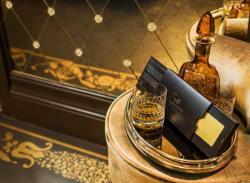 Six tickets to “The Comedy about a Bank Robbery” at The Criterion Theatre and champagne. Breaking into its third year, Mischief Theatre’s smash-and-grab hit is a fast, fabulous comedy caper and the funniest show in the West End. ‘A fast and fabulous comedy caper is a joyful night out’ – The Times. A gin cocktail masterclass and a private dinner at an award-winning countryside inn situated at the foot of the South Downs. 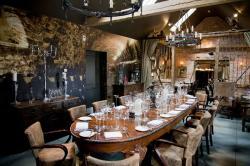 A private gin cocktail masterclass and tasting followed by canapés and a two-course menu for you and up to 11 guests in the Baron Lafite private dining room at The White Horse in Chilgrove. at The Blacksmiths in the old village of Donnington. Restored in a relaxed style, guests can enjoy the blazing fire and homely charm of the anvil bar or the snug elegance of the dining room. 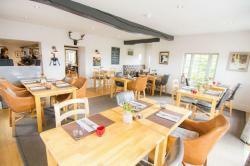 There are three unique double bedrooms, a large garden, fire pits, herb garden and chickens on site! Drinks are available for an additional charge from the bar. 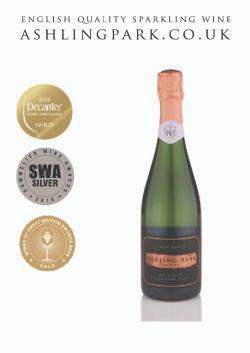 Two cases of Ashling Park’s Sparkling Wine (one Cuveé and one Rosé), recent winner of a coveted gold medal at the prestigious Decanter World Wine Awards, silver at the Sommeliers Awards and gold at Wine GB. Their wine maker, Dermot Sugrue, is one of the most influential figures in English wine, winning more golds in blind tastings than any other English wine maker! Ashling Park Estate is lovingly owned and operated by the Gardner family, located in the charming hamlet of West Ashling in the sunny South Downs. You and your guest will enjoy a three nights’ stay at the beautiful Marrakech hotel Riad El Fenn. Located in the heart of Marrakech’s historic Medina, this hotel is the perfect retreat from which to enjoy this vibrant and unique city. Riad El Fenn offers acalm sanctuary, complete with three pools, spa, lush courtyards and rooftop terrace. This amazing prize includes staying in Room 19, voted one of the world’s sexiest hotel rooms in the Sunday Times, as well as airport transfers, breakfast, morning and afternoon tea, and a hammam (traditional Moroccan steam massage) for two. With 28 individually styled rooms and suites, Riad El Fenn is the perfect retreat from which to enjoy Africa’s most exotic city. Combining grandeur and historic architecture with hideaway nooks, terraces and gardens, the hotel is just five minutes walk from the world famous Djemaa el Fna square and bustling maze of streets that make up the souk. Riad El Fenn’s latest story began when, in 2002, Vanessa Branson and Howell James were looking for a holiday home and walked into the almost ruined courtyard of one of Marrakech’s formerly great private homes. Vanessa and Howell knew they wanted to create a home from home retreat that combined great food and service with the spirit of the building’s past and a contemporary decorative twist. In 2014 Riad El Fenn was voted number one out of 950 hotels to win the prestigious Mr & Mrs Smith award for Best Dressed Hotel. Subject to availability. Offer is valid for one year from 16 June 2018, excluding Christmas, New Year and Easter. 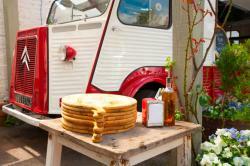 Picnic for up to 10 people from Field and Fork. Plan your next day out, special event or extravagant picnic with friends. This three-course epicurean feast is perfect for the likes of Glynbourne, tailgating or a private celebration. up to 15 people at Blackdown Ridge Estate in Haslemere. For a few hours escapism – enjoy the tranquillity and peacefulness at Blackdown Ridge. Learn about the varieties and management of vines throughout the year, the wine making process from vine to bottle and then taste their award-winning English wines. in the National Portrait Gallery and the Dulwich Picture Gallery. 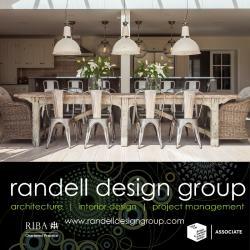 Architecture or interior design consultancy with Randell Design Group , the south coast’s go-to property design firm. This professional service includes a personal design consultation to establish a concept design brief based on a site visit and discussion of ideas and visions, design illustrations and image board to convey concept design and a verbal and visual presentation of ideas. London, seven days a week for a year. nationwide and they also operate car parks for major transport providers like London Underground and Virgin Rail. They’ve grown their expertise in running car parks since 1931, so you can rely on them when you need to find a space to suit. 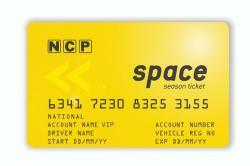 This VIP Season Ticket can be used to park one vehicle at any one time and is not transferable. Please note that car park and Season Ticket terms and conditions apply, so remember to check the opening times of the car park you’ll be parking at beforehand. 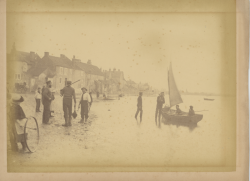 Celebrated photographer Malby came to Chichester in 1880 at the age of 22 and established a successful studio at 68 East Street which he ran until his death in 1892. He gained much distinction in his profession and was possessor of medals won at Derby and Nottingham in connection with the Photographic Society of Great Britain. He styled himself as an ‘Artist & Photographer’ and in addition to producing photographic portraits and views, he also executed pictures in oil paints, water colours and crayons. 18-hole golf experience for four at the renowned Goodwood Downlands course. This picturesque golf course in West Sussex is ranked in Golf World Magazine’s Top 100 English Courses and has been host to the English PGA Championship. Three-month family membership to Chichester Racquets and Fitness Club (CRAFC). Two adults and two children will enjoy access to high level sports and fitness facilities, including tennis, squash, racketball and fitness, as well as a lively social scene, spa pool, steam and sauna, bar, restaurant and a members’ car park. A day out on the beautiful Swan 55’ yacht Swan Galiana. Your event can be taken during the 2018 summer season, subject to availability. It’s completely up to you how you use the day, whether you want to have some fun with family and friends or host some business clients. 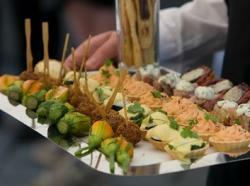 Whatever you decide we are sure you will enjoy a memorable experience and an event your guests will remember forever! 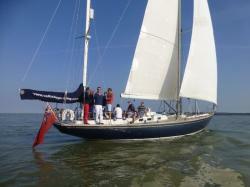 You can enjoy one of our charter days which runs from 9am to 5.30pm giving you a full days sailing in the Solent area. 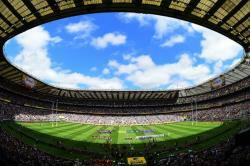 Your prize includes our delicious hospitality package, with breakfast, buffet lunch and afternoon tea supplied. We normally anchor in one of the Isle of Wight’s pretty bays for lunch. Included in your prize are the yacht, crew, fuel, and catering, so all you need to bring is the wine and beer! Galiana can accommodate up to 10 guests in comfort and safety for day sailing and is available to charter between May and October. She is located at Swanwick Marina at the head of the River Hamble at Bursledon, close to Junction 8 of the M27. As soon as you would like we can reserve your event in the diary, then all you have to do is decide who you’d like to come along! 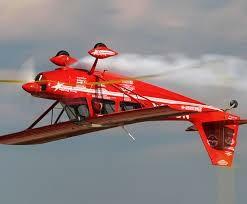 you, who would like to fly without any added expenses. 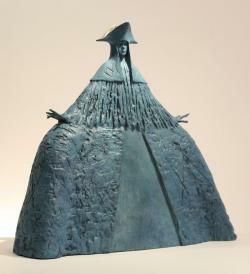 Philip Jackson is Britain’s foremost sculptor, with a worldwide reputation for public commissions. These include high-profile works such as Queen Elizabeth The Queen Mother on The Mall, Bobby Moore at Wembley Stadium, and Bomber Command in Green Park, one of the most visited monuments in the capital. Jackson’s ability to convey the human condition through skilful use of body language is legendary, producing figures both imposing and operatic in their narrative and presence, which are recognisable worldwide. Born in Inverness, Jackson now lives and works in West Sussex. 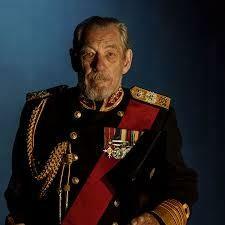 He was appointed Commander of the Royal Victorian Order (CVO) in the Queen’s Birthday Honours list 2009. 20 minute Microlight Trial Flying Lesson from SportAir Flying Club. 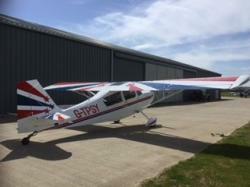 Try your hand at flying in this 2 seat high winged aircraft located at Goodwood in Chichester. One month’s free platinum membership at Boat Club Trafalgar, Portsmouth. Based at Trafalgar Wharf, Portsmouth, Boat Club offer you unlimited, hassle-free boating with their fleet of new premium brand boats. 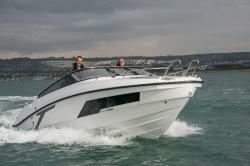 You have all the fun of boating without the costs and responsibilities of being a boat owner. Their dedicated team take care of cleaning, maintenance, servicing, storage and insurance, leaving you free to spend all your leisure time out on the water with no worries. - opportunity to join complimentary bi-weekly guided boat and trips with a qualified instructor to favourite destinations around The Solent. The only outlay is for the fuel you use after your training and induction and a fully refundable damage deposit. Valid until 31 December 2018. 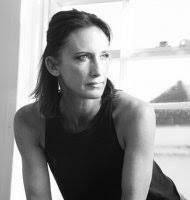 Two private Pilates sessions with Monique Elsom, personal trainer and life coach. Monique creates individual training and lifestyle programmes using a combination of nutritional advice and exercise techniques from her dance, Pilates and fitness backgrounds. Monique has worked as a personal trainer at Warner Brothers and is employed privately by leading cast members. membership at Chichester Racquets and Fitness Club, a full fitness assessment, health appraisal, diet analysis, healthy eating plan and 12 week body transformation plan. Lee is a motivational personal trainer who has transformed countless bodies and lives. 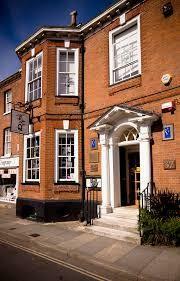 Buzby & Blue’s beauty spa in Chichester. Following a full-body exfoliation, the hips, thighs and abs are treated to a detoxifying massage, using targeted techniques, followed by a stimulating marine and earth mud wrap. The detox finishes with an invigorating and energising full body massage, using lymphatic drainage techniques, to leave you thoroughly rejuvenated and supported in your quest to get in shape. Also includes a manicure! 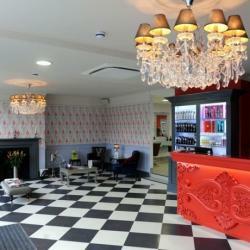 and neck massage and an in-depth consultation, cut and finish with senior award-winning stylist, Carina Gratwick. challenge of getting fit in ten weeks! This is a fun fitness prize to help two of you get in shape. 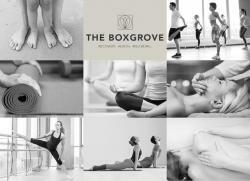 The Boxgrove Clinic is a multidisciplinary clinic housed in a beautiful converted barn near Chichester. All classes are run in our light bright studio with small participant numbers and exceptional instructors. Choose from Pilates, yoga, barre, TRx, circuits, pure stretch, Box Fit and more. The day will be at the spectacular offices in the Shard, London and includes lunch in Oblix, located on the 32nd floor. in Chichester. At the heart of the Treatment is a 25-minute Anti-Ageing Facial Massage which lifts, reshapes and relaxes. The Q Hair & Beauty brand revolves around a luxury, welcoming and traditional environment with unparalleled customer service. 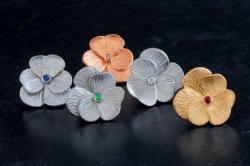 One of a stunning collection of five exclusive, one-of-a kind Dreambuilding Pansy Pins designed by Timothy Roe Fine Jewellery especially for St Wilfrid’s Hospice. 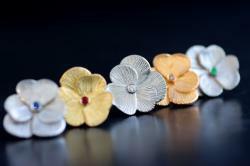 Pansies represent friendship, loyalty, love and remembrance. Shakespeare was a huge fan of the flower and often featured them in this work, including A Mid-Summer Night’s Dream, to signify remembrance or sorrow for a loved one. Designer scarf donated by Chichester-based fashion boutique, Little London. Family GO APE Voucher - High-speed zips, free-fall Tarzan swings and daring crossings. Hitting heights of up to 30 metres, Go Ape's tree top obstacles are the ultimate test of balance and nerve. Get your Tribe's blood pumping with 2-3 hours of action-packed adventure. This £160 voucher can be used at any of 32 locations around the UK including three London sites at Battersea Park, Alexandra Palace and Trent Park, Cockfosters. This Balenciaga two way tote is made of smooth green calfskin with antique brass hardware. Made in Italy with the finest craftsmanship, this bag retailed for over £1000. 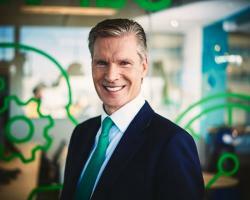 “We are a hardworking, straight talking and dynamic organization. Small enough to give every project a custom approach and big enough to manage large scale international film productions. We've been able to work for some of the biggest brands in the world, and deliver on time, on budget and beyond expectations. We are Luti Media”. Based at the Hackney office in London, a young person over 18 years old will have the opportunity to work on music videos, TV or film – depending on what the current work load is at the time of the placement. This will be hard work and long hours - but exhilarating!